“I don’t understand…” a friend uttered. And through the moment of silence between us, we shared tears. We shared each other’s pain. We shared each other’s grief. Yesterday, my tears flowed, too. Quietly. In front of someone who was willing to help me with my battle. It wouldn’t be an easy one. It just started but it would still be a long way to go. There would be lots of changes. But I would remain trusting on God’s Word, His faithful promises of being there for those who love Him. Knowing that He is the only One Who doesn’t change. We wear His Armor the moment we make that important decision to be on Christ’s side. The sturdy belt of truth. The body armor of God’s righteousness. The shoes with peace that comes from the Good News. It is real that we have a vicious enemy. And Paul did not make it an option to turn back when we are facing a battle. For going through trials is a must in our Christian journeys. It is essential for our spiritual growth. And I would like to keep that in mind as I face a battle at this time. I know it will be uncomfortable at times. Maybe numerous times. But I trust in His promises, His Word, that I know in my heart will give me the spiritual victory. I know I have His victory no matter what comes my way. I may not know what to do at times. I may not see where it’s leading. But He does. 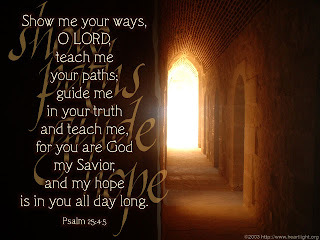 His Word is truly a lamp unto my feet and a light unto my path (Psalm 119:105). I got some hope from that person. But nothing will compare to the hope I have been given by Jesus Christ. I am taking up this battle so I can hold fast to the future and hope He promised to those who believe.